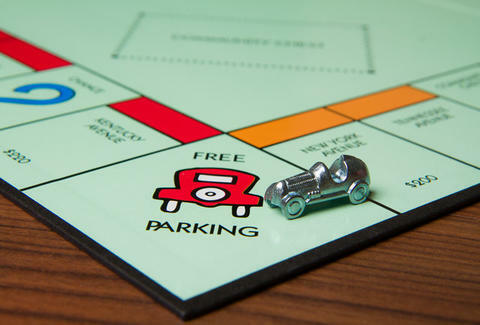 If you've spent any time playing Monopoly, you've had a fight about Monopoly. There isn't a study to back that up, but you know it's true. It causes more fights than scuffed boats in an old west saloon. While there isn't data to prove that every Monopoly game ends in fisticuffs, there is a new study that says it starts more fights than other board games. The study was conducted by OnlineCasino.ca, who surveyed 1,000 board game-playing American adults to discover which games get their blood boiling. More than 91% of respondents have been in an argument over a board game. Of those, 47.7% have had a fight while playing Monopoly. Scrabble, which ranks a distant second, was the impetus for just 18% of people. Unofficially, you know all those fights were over people saying some nonsense like tiffle is a word. Scrabble is followed by Risk (5%) and Settlers of Catan (4.5%). They probably aren't played as widely but are long strategy games, so it makes sense they'd cause more combativeness than Pictionary (3.9%), Uno (2.9%), or Apples to Apples (1.8%). Respondents said the majority of fights occur between friends, which might surprise anyone who has duked it out with a partner or cheating siblings. Plenty of fights break out over cheating (40.2%), but a whopping 72% of those surveyed have had a quarrel about rules. Way too few people know the rules of squabble-inducing games like Monopoly. (Say, how Free Parking works. )This is clearly upsetting to the world's law-abiding gamers. If you're looking to pick a fight, just start a game of Monopoly. If you're not looking for a fight, find something to bond over, like how sad it is that Monopoly ditched the thimble and replaced it with a Tyrannosaurus and a penguin.